• All ropes should be different colors. 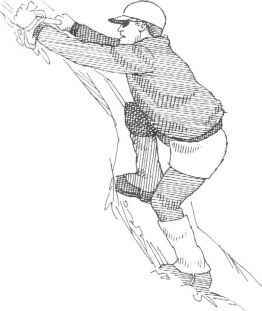 • After hauling the sack, the leader stacks the haul line and organizes the other ropes and hardware at the anchor. • Once the second arrives at the anchor and begins consolidating the lead rack, the old leader (now the belaycr) makes butterfly coils in the climbing rope and stacks these coils at the anchor with a sling. 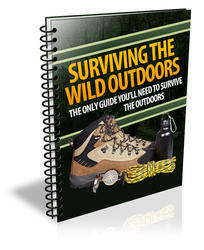 This prevents the climbing rope from getting snagged below and from tangling, and helps it pay out smoothly. • If the second was carrying a rucksack, it can be packed with gear that won't be utilized on the next pitch and clipped into the anchor. • Finally, the second (now the new leader) clips the free end of the haul rope to his or her harness, is placed on belay, and starts climbing. Fig. 11-31. 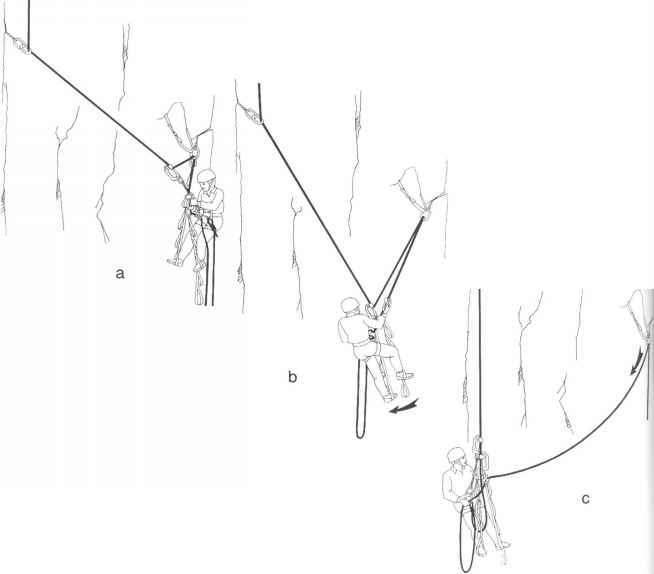 Seconding a short pendulum: a, after climbing to the pendulum anchor, the second prepares ascenders; b, the second lowers himself across the pendulum with a rappel device and lower ascender held open; c, the second ties in short, unties from the end of the rope, and pulls the rope through the anchor (and relies the end of the rope).